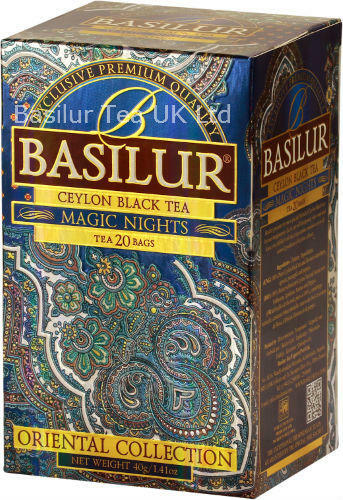 Basilur 'Magic Nights' is a pure Ceylon black tea grown in tea gardens surrounded by the serenity of misty mountains and breathtaking natural waterfalls. 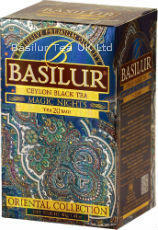 A combination of Ceylon tea, natural fruits and herbs. Bright in colour once brewed this tea gives a mild fruity taste and a fruity aroma. Ingredients: Pure Ceylon black tea with fruits & additives of Cornflower, blue malva, cranberry, strawberry, cream, pineapple and papaya.